Most of us live very sedentary lives. Sure, we might get to the gym a few times a week, but the rest of the day is spent sitting on our butts in an office, before we drive home and then sit on the couch. This lack of activity has helped contribute to a massive increase in heart disease, obesity, and more. Since May is National Walking Month, now is the perfect time to think about how active you really are. While we all know we should be doing at least 10,000 steps, many of us are only getting to a couple of thousand every day. If you work from home and don’t go to the gym that day, you may even find that you do less than 500 steps that day. Does your family have a tendency to put on and store fat? Harvard researchers have found that people who have genes that contribute to weight gain and do some brisk walking for around an hour a day have the effects of these types of genes cut in half. For women, breast cancer is something we have to consider. Any type of physical activity reduces your risk of getting breast cancer, but women who do at least seven hours of walking each week have a 14% lower chance of getting breast cancer compared to those who walk for less than three hours a week. Walking can actually help you protect yourself when colds and the flu are going around. People who walk for just 20 minutes a day are less likely to need a sick day. And when they do get sick, it doesn’t last as long and they have milder symptoms. When you’re trying to find a solution to a difficult problem or you’re feeling like you’re a bit stuck at work, walking can help. It turns out that people who are walking often think more creatively than people who are sitting down. So next time you’re feeling like the day is dragging on or you can’t figure out what do do about a work issue, get outside for some fresh air. This is an obvious benefit, but one that many people will take. Even if you don’t see the numbers going down on the scale, your pants will likely begin fitting a little more loosely. That’s because walking helps your body respond to insulin, which reduces how much belly fat you have. If you’re looking for a low-impact way to alter your body composition and remove fat, daily walking can burn extra calories while increasing your metabolism but also preventing muscle loss. As you age, you’ll notice that you’re more likely to get varicose veins- and no one wants that. But walking can prevent these veins from developing in the first place. We have a circulatory section in our foot and calf, which pushes blood back up to our lungs and heart. When we walk, we strengthen this system which increases blood flow. This makes it less likely that you’ll get spider and varicose veins. Will you walk more this month? 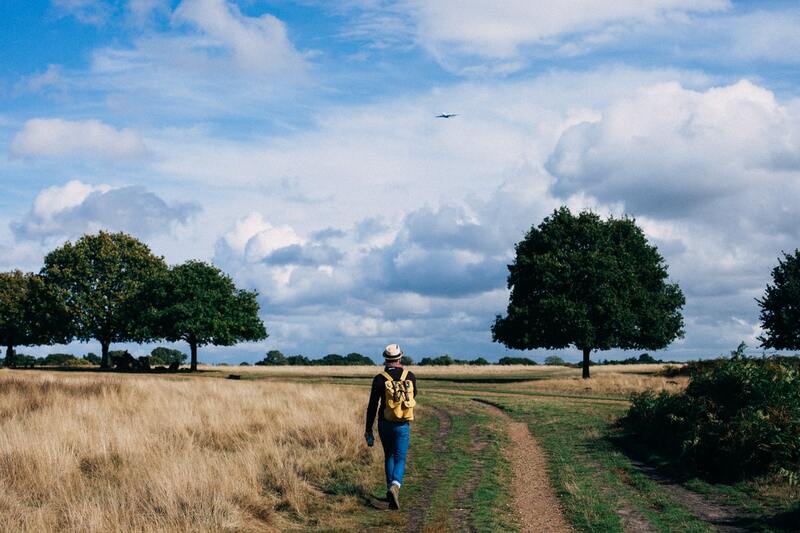 To celebrate National Walking Month, why not get out in the fresh air? With the weather improving, it’s the perfect time to focus on your health. Some other things you can do to improve your health include, swapping junk food for a healthy snack and using sunscreen and wearing a hat when you’re outside.